Shares in Danske Bank fell more than 6% today after a media report suggested a money laundering scandal centred on its Estonian branch could be bigger than previously thought. The Danish bank handled up to $30 billion of Russian and ex-Soviet money through non-resident accounts via its Estonian branch in 2013 alone, according to an independent investigation, Financial Times reported. The non-resident portfolio at the Estonian branch has been at the centre of allegations that the bank had flawed money laundering controls from 2007 to 2015. This has has led to criminal investigations in both Denmark and Estonia. A Danish newspaper report in July said that Danske laundered up to $8.3 billion in Estonia in 2007-2015. Danske Bank has admitted to flaws in its anti-money laundering controls in Estonia and has launched its own inquiry ,the results of which are expected this month. It was not able to verify the FT report. "The matter is very complex, and no conclusion as to the number of suspicious customers or transactions - or indeed the extent of potential money laundering - can be drawn from any individual pieces of information taken out of context," the bank said in a statement. The latest report could add to the pressure on the bank's chief executive Thomas Borgen, who was in charge of international banking, including Estonia, from 2009 to 2012. He got the top job at Danske in 2013. Gross profits from its non-resident portfolio in Estonia between 2007 and 2015 amounted to 1.5 billion Danish crowns, but it was not clear how much of that amount Danske would waive, it said in July. The FT said the findings on the non-resident portfolio were contained in a draft report by consultancy Promontory Financial commissioned by Danske Bank. A Danske spokesman highlighted the need to distinguish between gross flows in Estonia, potentially suspicious flows and transactions with a clear illegal purpose. 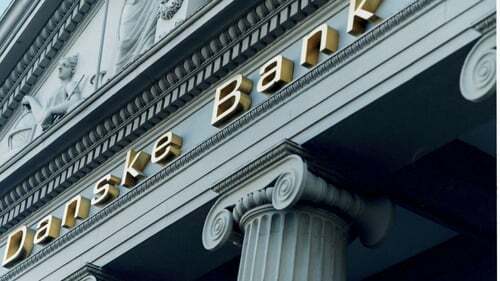 He said Danske remains on track to publish the findings of its investigation this month and that the FT report would not prompt the bank to speed up release of the investigations.